Hard to find precursor to the ABK 30, the uncompromising ABW 41 is more chronometer than clock. Numerals of the severe dial are set in Akzidenz and tethered by elongated dash markings. The ABW 41 is significantly slimmer than the ABK 30 and fitted with a perspex glass, which sits on the stepped face flush with the bezel. 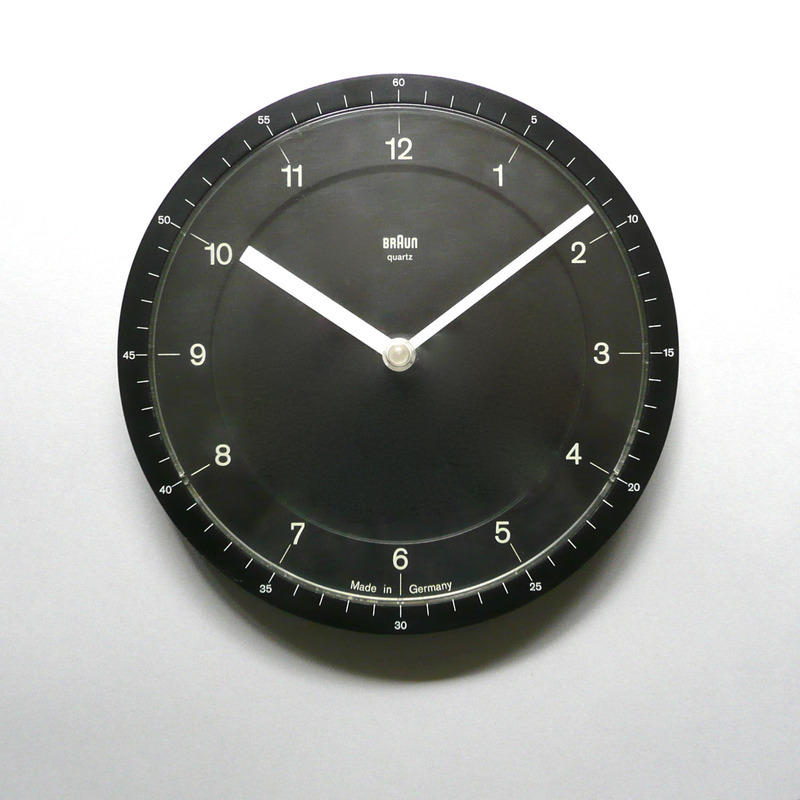 The metal body was substituted for plastic in all subsequent wall clocks.